It's Monday - and if ever there was a day that a treat was deserved, it's a Monday. 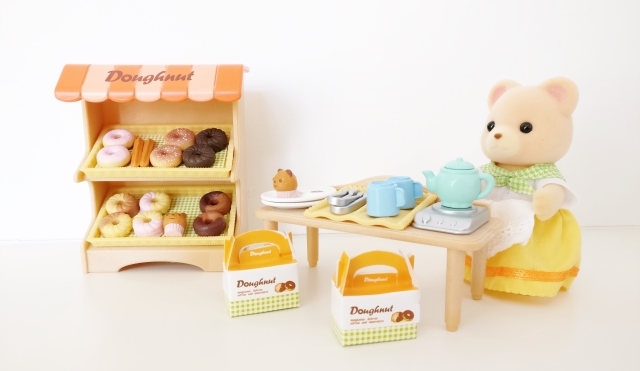 The start of the week is so much easier to face with yummy pastries in hand - so today, I'm sharing a little doughnut love with the newest addition to our Sylvanian Family collection - the Doughnut Store. 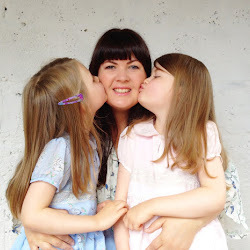 Mother Bear has the sweetest little doughnut stall in the world. She literally just sells pastries and hot coffee which, as far as I'm concerned, it's the perfect business model. In fact, I wish there was someone who would take her lead and set up an identical service right outside my kid's school in the mornings. They would make a fortune. Bonus points if they wear a cute little apron like Mother Bears'! 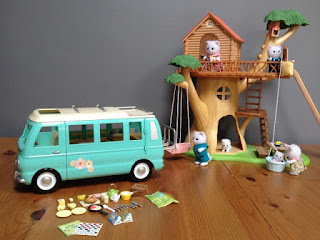 There are over 30 pieces in the set and the Mother Bear figurine is also supplied. 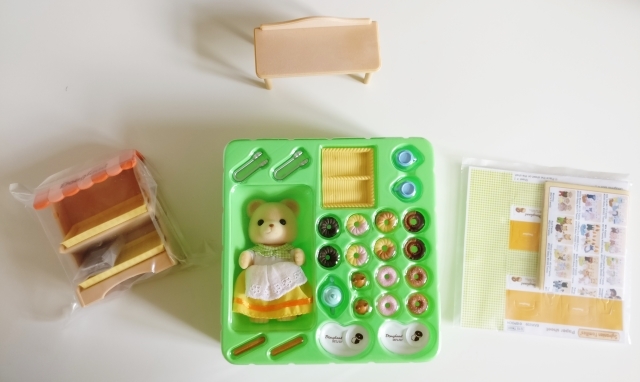 It is super quick and easy to put together so you can get playing right away. It is also completely adorable. The pastries are so well made they honestly look good enough to eat and I had a hard time convincing Lile and Sábha that the chocolate ones in particular were not actually edible. 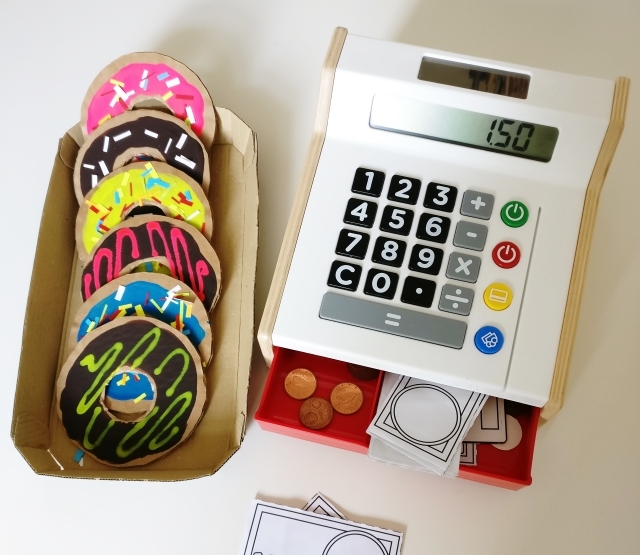 Of course, now the girls want to have their own doughnut shop (something I kind of wish they were old enough to actually do) - so to support their entrepreneurial spirit we cobbled together a really simple one last Sunday morning. 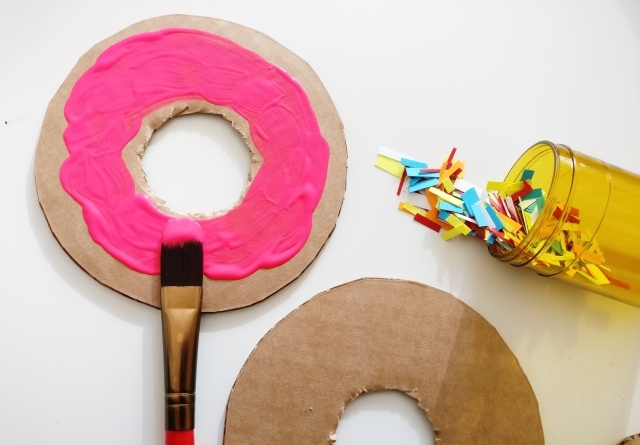 I cut some 'rings' out of some cardboad, splodged on some paint for icing and topped them with 'sprinkles' made from thin strips of coloured paper, which stuck to the wet paint. 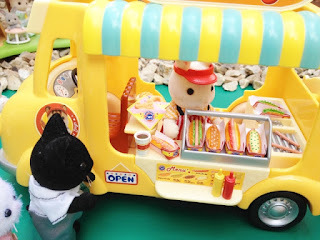 And, as if the Sylvanian Doughnut Store and the cardboard doughnuts weren't making the cravings bad enough - a lovely friend of mine has just launched her own doughnut business called 'The Siúcra Shack'. Her Instagram feed is killing me daily with her delicious looking offerings, but she doesn't live anywhere near me! If you're lucky enough to be in the Thurles area you should definitely look her up. 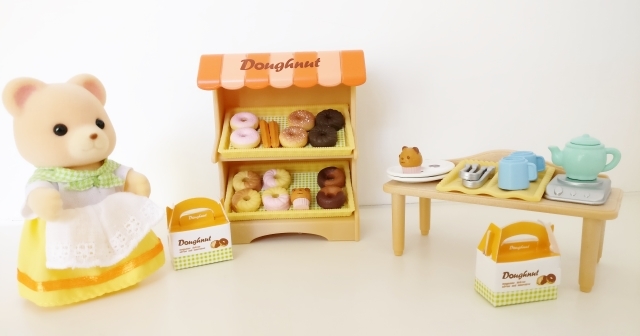 Until someone gets it together to open up something similar in my home town, I'll have to make do with playing with our Sylvanian Families sweet, little, calorie-free doughnuts - which is no punishment at all really! 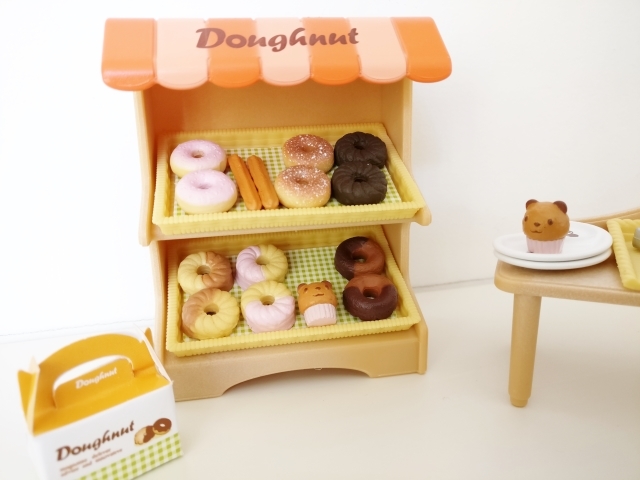 Are you a doughnut fan?! 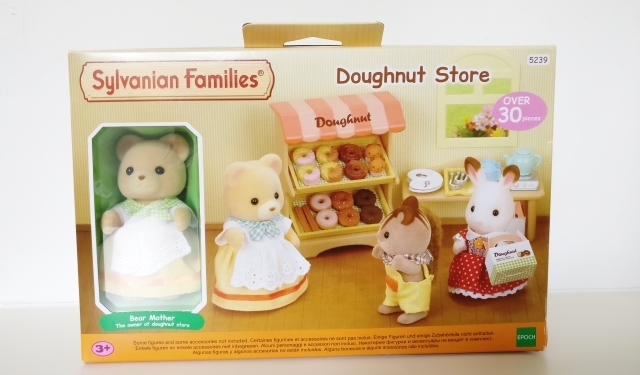 Disclosure: As a 'Friend of Sylvanian Families', I received the Sylvanian Families Doughnut Store for the purposes of review. All opinions are mine / Lile and Sábha's, however, and we were not paid to give them. 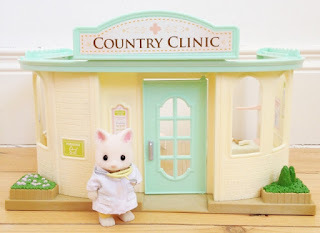 My daughter and I love Sylvanian Family! - Me more than her if I'm honest, but that means I don't mind playing with he at all. We got the treehouse last month, so I'll be subtly pushing for the doughnut stand next. 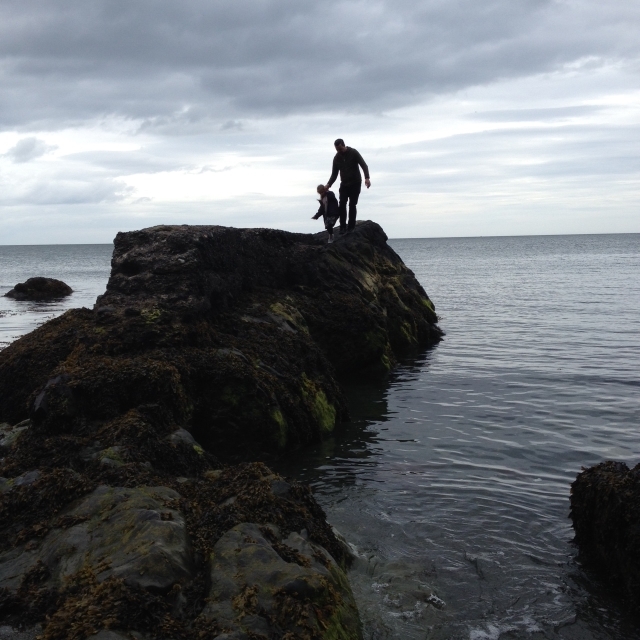 :-) And the make your own doughnuts is great Sadhbh. We'll be making our own fake ones using this. Thanks so much Muuka! Oh we have the treehouse too! And I totally agree that it's one of the toys I don't mind playing with at all. They are just too cuuute!